Completing a marathon in less than 4 hours is a magical, attainable and popular goal among 26.2-mile runners. Based on recent data, the median finishing time for women is 4:41:38— so a mere 20 percent of marathoning ladies belong to the covered sub-four hour crowd. The good news is that becoming a member of that select group is doable for many runners, with the right training. If you have at least one round of marathon training and racing under your legs and are striving for that 3:59:59 mark during your next one, our plan will get you there. (New to marathons? See “Marathon Virgins” on page three for how to make this plan work for you.) Before lacing up your shoes, you should have a solid foundation of at least six months of consistent running, with roughly 25 or more miles per week, and be able to complete a 10-mile run. 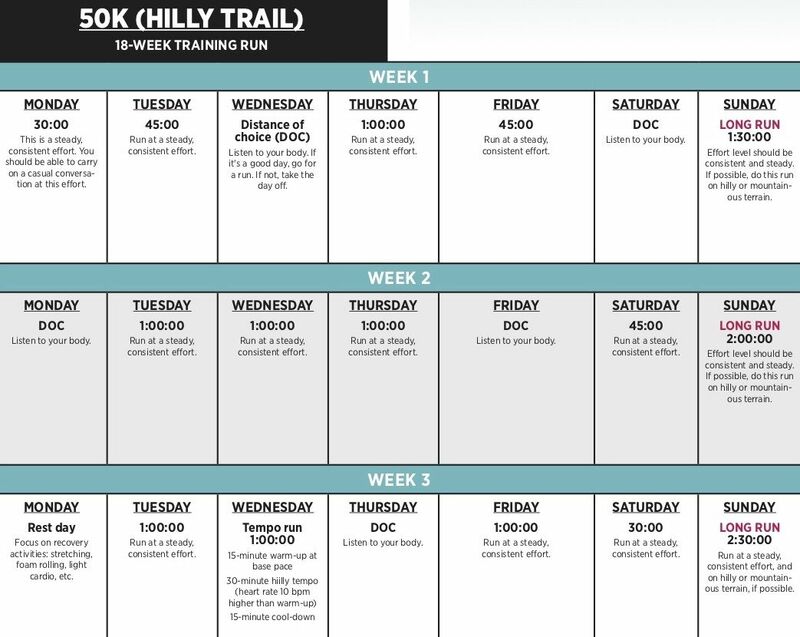 This four-month program will build your endurance while increasing your intensity to prepare you to run the pace needed to dip under 4 hours on race day. Flexibility is built in to allow you to customize the plan to suit your individual fitness level. CLICK HERE FOR THE BREAK 4-HOUR MARATHON TRAINING PLAN. Think: Low to no impact, like spinning, yoga or swimming. Aim for 30–60 minutes. This will also help give you the core strength you’ll need in the later stages of the marathon. This pace should feel fairly comfortable, and you should be able to talk without getting too winded. An effort level of 65–70 percent is ideal on these runs, as well as during any warm-up and cool-down. These encourage a fast, consistent pace despite fatigue between reps. Aim for splits within 1–2 seconds of each other at 85–95 percent effort level, and start and finish the entire set with 1–2 miles of warm-up and cool-down on flatter ground. 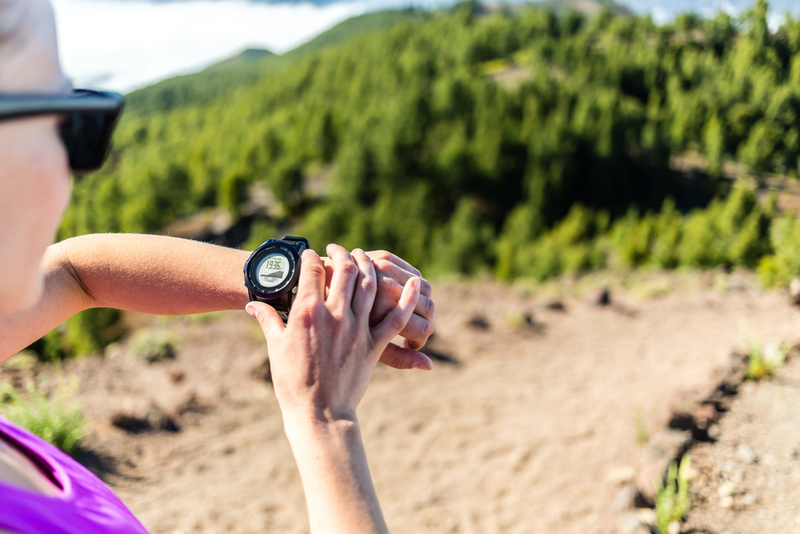 Short, quick 10-second intervals after some of the long, slow runs will help to activate your fast-twitch muscles, reinforce good running form and remind you that you can run fast. Find flat ground after your main run and jog slowly for 20 seconds between bursts. The most essential part of marathon training should be run at a mostly comfortable and conversational pace, about 60–65 percent effort level. Covering these miles on terrain similar to what is expected on race day is also very beneficial. In addition to the long run, MRP workouts are crucial to success in shooting for a new PR. Running at your desired marathon pace, or faster, will train your body to be comfortable with sustaining goal pace for longer periods. One day of rest per week, at a minimum, will help your body recover and recharge for race day. Strength is built during these off days, which is a good opportunity to listen to your body if you’re feeling overly fatigued or sore. During the final 5–10 minutes of a LR, shift the pace up slightly. This should work out to be about 20–30 seconds per mile faster than your LR pace, train-ing your body to push strong toward the finish line! 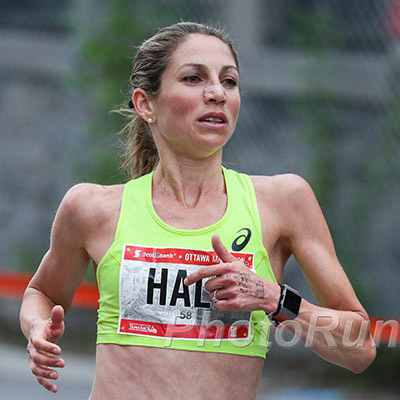 Tempo runs are described as comfortably hard, exerting about 75 percent of your maximum effort and really feeling it during the second half of the workout. The goal is consistent pacing. Use the faster end of the pace range given in the chart for tempo portions lasting less than 20 minutes and the slower end for longer sessions. Are you ready for this? And what to do if you’re not. Shooting for a sub-four marathon demands high mileage and frequent speed work that will make the body more fatigued than training for a slower or easier race. For that reason, it is recommended to have at least one marathon completed so you know your body’s limits and where you might need to adjust. This plan may work for you if you’re a first-timer with some other race experience (see chart below), or you can tweak parts of it to fit your current fitness level. Use the paces below to see if your current shorter race times fall within the times listed (or faster). The longer the race, the more accurate the prediction. If this plan is too aggressive, stretch it out to 20 or 24 weeks and build more gradually. KEEP YOUR FITNESS LEVEL IN MIND. Take extra rest days as needed, and make sure you recover properly. The best workouts to cut back on, in favor of extra rest or active-recovery cross-training, are those involving speed (e.g., hill repeats and intervals). FOCUS ON ENDURANCE AND STAMINA. Don’t skip the long runs or marathon-race-pace portions of your runs. Choose a race that is beginner friendly and during a time of year with good weather. If during the race things fall apart, have a secondary goal to keep you motivated to the finish line and take what you learn to your next marathon.